The day after the great Jimi Hendrix died, a few people gathered on a farm outside Shepton Mallet for an event that they called the Pilton music festival. Over 40 years later, this small musical gathering – now known as Glastonbury – is the largest Greenfield festival in the world that hundreds of thousands of flock to every single year. But as well as being a major force in the world of music, it turns out that Glastonbury is also a key player in the global $12billion ‘green industry’. Here are 6 ways that they’re achieving this. #1 Glastonbury Green Traveller Initiative – Researchers from Oxford University found that of the 84,000 tonnes of CO2 generated by UK music festivals every year…most of it came from transport. As a way of reducing this negative impact, Glastonbury launched the ‘Glastonbury Green Traveller Initiative’ in which they provide significant discounts and prizes for festival goers who attend using public transport. #2 Love Your Tent Campaign – Another eco-problem generated by music festival goers is the number of abandoned tents that end up in landfills. To combat this, Glastonbury partnered with the ‘Love Your Tent’ campaign to encourage festival goers to invest in quality camping gear that they take home after the festival and re-use the next time they came. 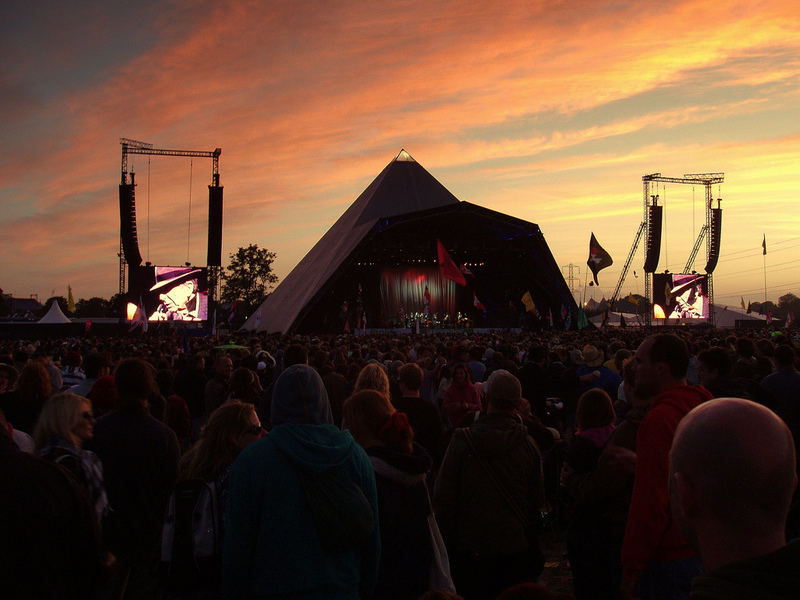 #3 Local Sewage Works – A major source of emissions at Glastonbury came from transporting in water for the festival. In fact, in 2008 alone, 168 tankers were used to bring in water by road, with sewage being taken on a 90-mile round trip to Avonmouth. The solution? Glastonbury built two reservoirs and a local sewage works to reduce the distance that the water and sewage need to travel. Also, festival goers are encouraged to bring their own refillable water bottles. #4 Please Take It Home Campaign – 400 gazebos, 2,200 chairs, 3,500 air beds and 6,500 sleeping bags were all left behind at Glastonbury. This is why the ‘Please Take It Home’ campaign to take 5 minute to collect all their camping equipment. #5 Long-drops For Portaloos – With hundreds of thousands of people onsite, ammonia levels in the nearby streams and countryside are hugely impacted by the amount of waste being produced in the portaloos. To stem this problem, the majority of the portaloos will be replaced with long-drops and composting toilets. As well as offering festival goers an ‘stink-free’ toilet experience, the collected waste will be used as compost to fertilise the farmland that hosts Glastonbury. #6 Electric Golf Buggies – When it comes to generating the power needed to run a huge music festival, Glastonbury has approached this in a number of ways. Firstly they’ve installed over 1,500 square metres of solar panels, which is enough to power 40 homes annually. Glastonbury also makes use of electric bikes and golf buggies to transport staff around the 1,500 acre site. And even though the main stages and food stalls still require power generators, Glastonbury is investigating the viability of hybrid generators to minimise the use of fossil fuels in the event.